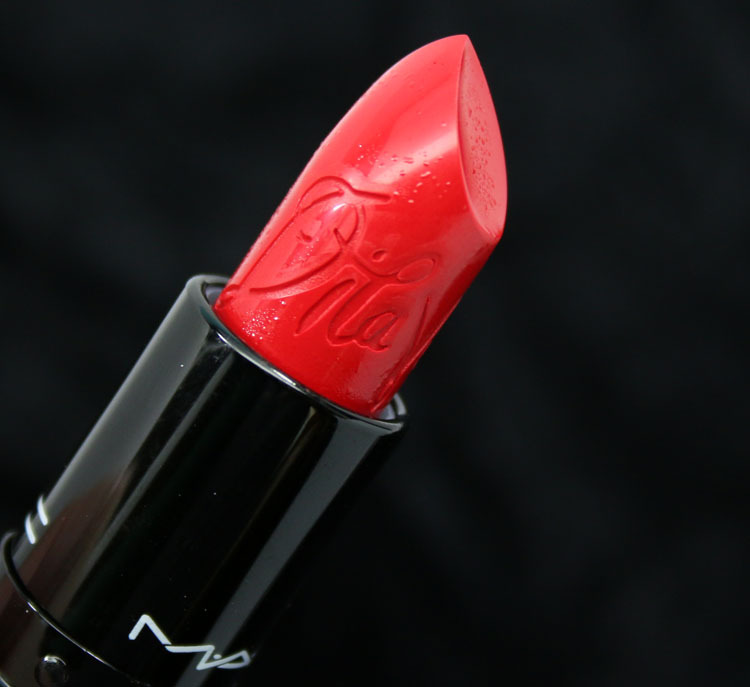 MAC Von Teese Lipstick was the creation of Dita Von Teese who was inspired by her new book Your Beauty Mark. This limited edition shade, which launches in North America on December 9th, comes in a shiny black tube with her signature in red. On the actual lipstick you will find her signature embedded. 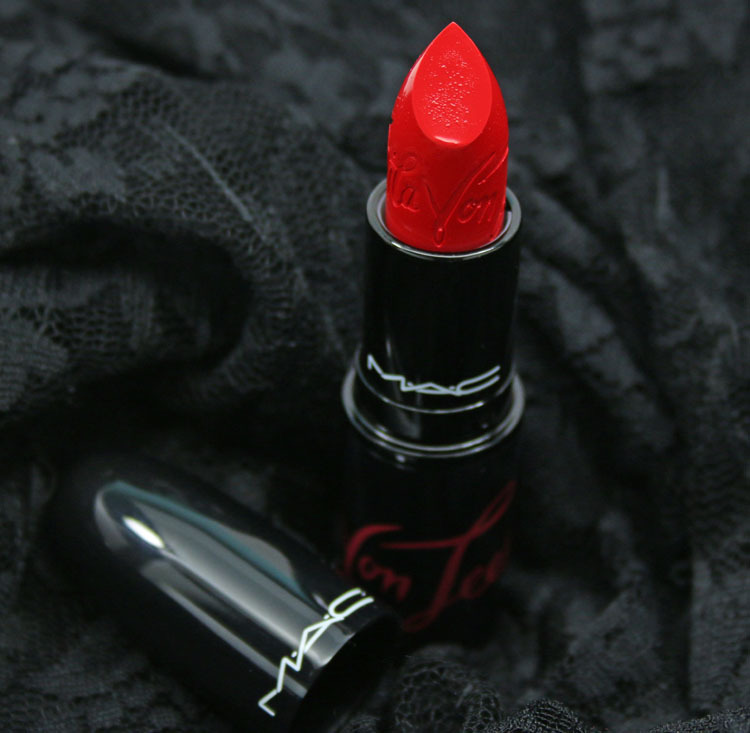 Von Teese is a bright tomato red matte. It is so beautiful you guys! SO pigmented and easy to apply, and despite the matte finish, it still has some sheen and isn’t that drying on the lips. 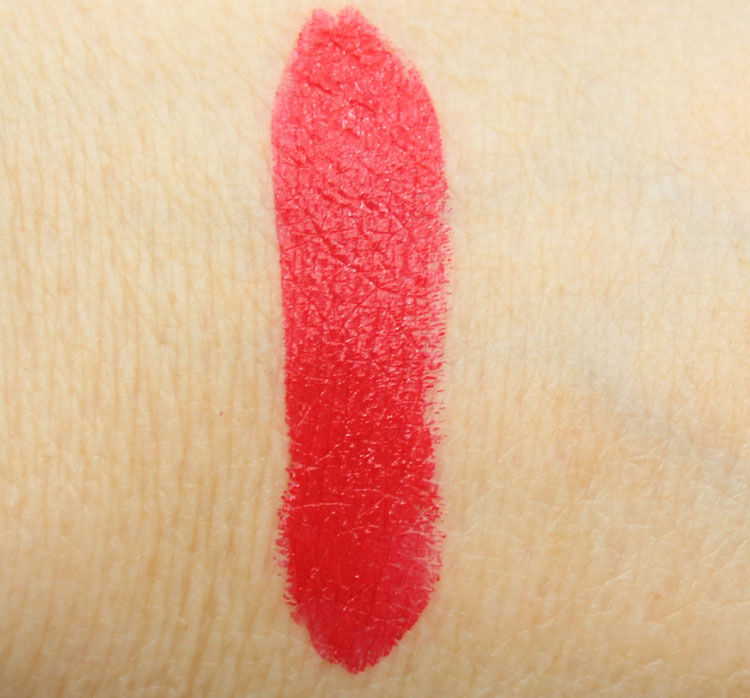 For me, a huge red lipstick fanatic (who rarely actually wears it, ha ha) this is a must have shade. Check out the MAC site soon for the launch! Are you into this shade of red? 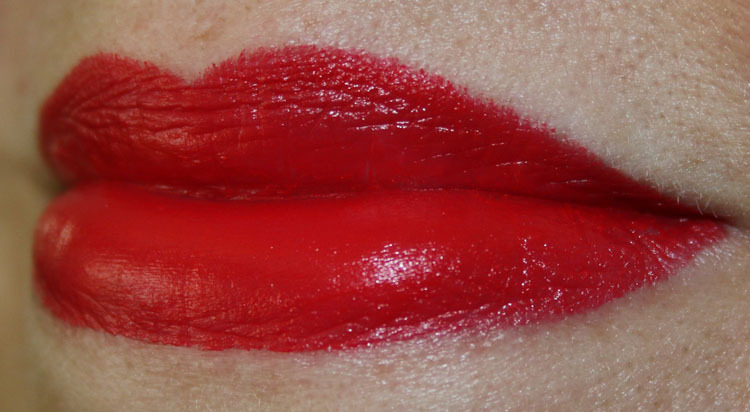 That’s is such a pretty red lipstick, I really like the sheen that it has. I only own two red lipsticks but this packaging is so nice that I cannot not buy it. Most of the time I’m not really into bright reds like this but I kinda like it. I might give it a go when it’s available in store. It’s really a fabulous shade, love it! I think it’s definitely worth a splurge! What a stunning shade of red. I’m not much of a fan of red on me but this is so beautiful I might have to try it! I can’t figure this shade out, it looks different on everyone! This is such a need. So excited for this shade. OMG, I HAVE TO HAVE IT. I own way too many reds, but… Dita. And it’s gorgeous! I LOVE red lipstick so I have a lot of red lipstick… I’m having a hard time deciding if this feels like a necessary addition to the collection. I THINK so…? This is such a stand out red! And I’m also really glad it’s not a matte formula, cream reds are SO much easier for me to wear! Kelly B.´s last post…New elf Products 2015! Well it is a matte formula but it’s not SUPER matte feeling. Seriously, I really like Dita’s style. I want backups for my backups for this lipstick :”).